As you may or may not know National Creativity Day is coming up on May 30th. We all love being creative no matter in what way that may be. 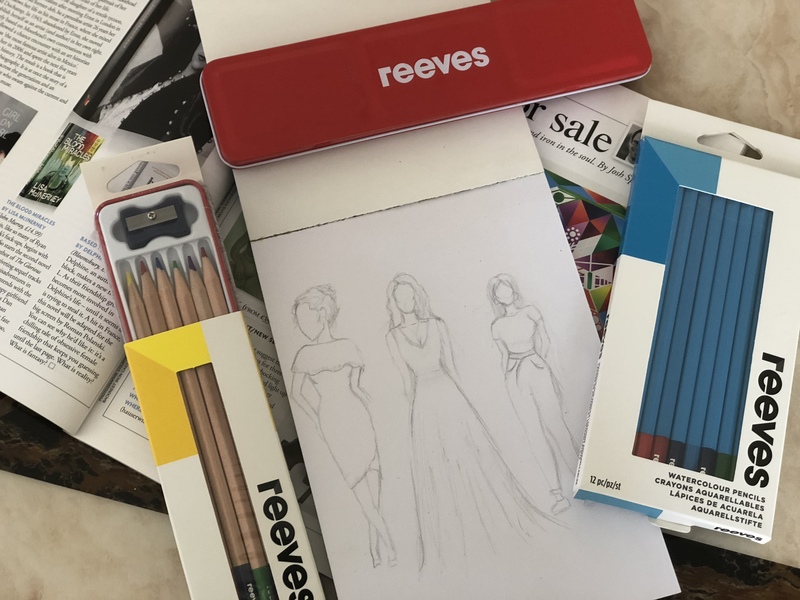 I’ve decided to do a little post showing you my favourite ways to get creative with Reeves. I’m quite passionate about fashion and I love to style pieces and changing the looks of pieces whether that’s to spice an outfit up or change the look entirely. Reeves have a selection of creative sets and tools. I used the set of pencils and the acrylic sketch pad to draw a couple of fashion illustrations. I think is a good way to gain inspiration from seeing outfits online as well as on Instagram and draw down your ideas. I love how this turned out and with the water colour pencils I cannot wait to add colour and dimension to the illustrations. I also tried out Scrapefoil for the first time. I love how my Gold Scrapefoil of this parrot turned out and cannot wait to try more images out and improve along the way. It’s quite hard when you first start but once you get into the swing of things it’s actually quite easy and therapeutic if I say so myself the concentration is so real. I cannot wait to carry on with my fashion illustrations, I really want to try watercolour paint on the illustrations. As I think this will look really simplistic but effective at the same time. 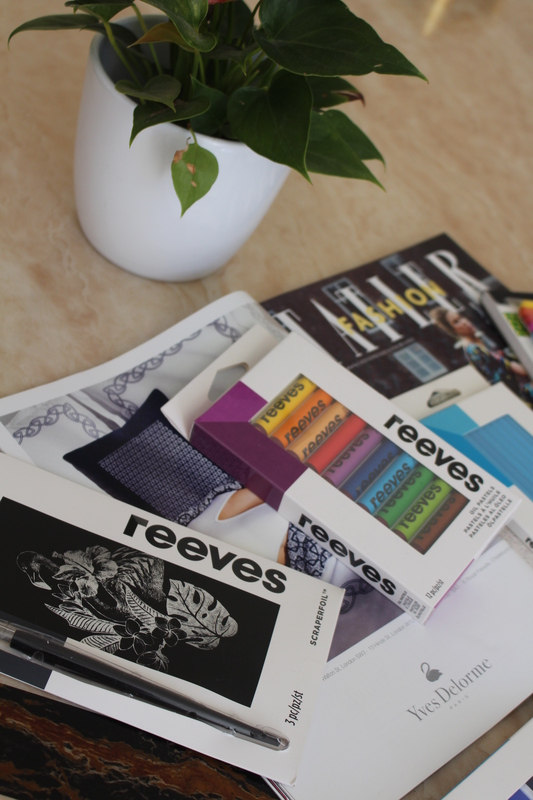 You can check out all the products Reeves have on the website here.They also have a selection of guides you can follow and get inspiration from by clicking here.